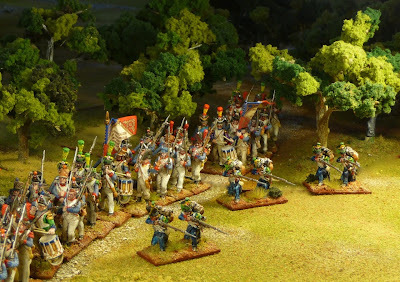 wargaming in 28 mm and sometimes smaller: Victrix French Infantry: Enfin!! It is quite a relief to get these figures finished. 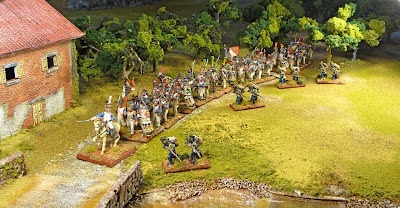 I started putting this box of Victrix French infantry together in mid July. I got 60 figures out of a box, and you can see 59 of them below. I was able to get 52 figures out of the box in non-firing and non-crouching poses which is excellent. Using a wash over white prime technique, it probably took around an hour a figure to assemble, prime, paint and base each figure. Assembly took 25% of the time, which is excessive in my opinion. 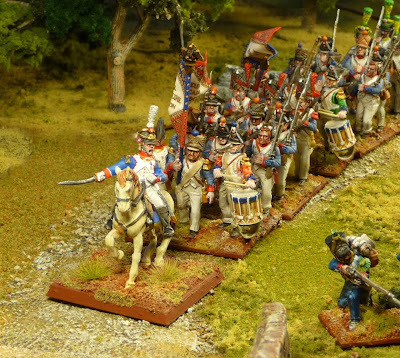 They are painted up as 5 battalions of the 26e and 82e regiments de ligne, as well as some 4 bases of legere. I painted 6 Perry plastic figures to make up the required 5 battalions (they are not posed here). I got a little out of control with the drummers. The Perry's were much easier to assemble, but they are in the Bardin uniform, wrong for the 6th Corps of the Army of Portugal in 1811 (this usually does not trouble me too much, but I am trying to pay more attention to detail). As I have previously noted, there was an enormous amount of flash and I think I may have got a defective box as some of the figure's details appeared to have been melted away. All in all though, I suppose they look ok posed as a unit. 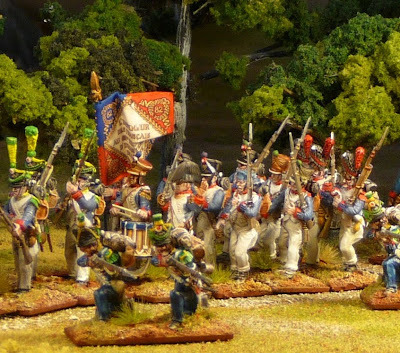 I do plan to buy a box of the Victrix early French Infantry to paint as Italians for the Battle of Maida, but I think that might be it for me with Victrix. I have 2 boxes of Victrix British Infantry, which I just figured out are centre companies only, so I suppose I will also have to buy a box of British flank company figures, but no more after that. Some French light cavalry may tempt me though!!! I almost forgot to say the metal Victrix mounted colonel was a very nice figure, which I quite enjoyed painting. 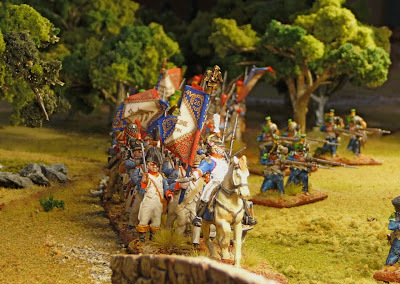 Beautifully painted miniatures (I liked your earlier post on painting technique by the way). You are obvioulsy not too keen on these plastics - will you revert to using metal figures only in future? I am not against the plastics and the Perry's seem good. I really like the faces on the Victrix, so I find it unfortunate that they take so much time to assemble. I rather spent my time painting. By the way, I like your Hinton Hunt website, there is something about those old school figures. I am also envious that you live in Devon, I am from Newfoundland and I have always thought of Devon as a more civilised version of the rock. Just got this box set myself, i agree that they're fiddly to assemble but are they ever beautiful!